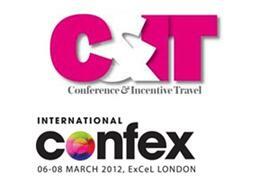 Over a quarter of event planners are on the hunt for new jobs, according to preliminary research conducted by C&IT and revealed at International Confex. In a session led by C&IT deputy editor Susie Harwood, panellists Chris Clarke, P&MM’s director of events, Logistik founder and joint managing director Dirk Mischendahl and Tim Shepley, managing director of Bluehat engaged in an energetic debate about the challenges faced by companies looking to motivate staff. A sneak preview of C&IT's survey – which quizzed both agency and client-side event planners - showed that 85% of respondents felt motivated to work for their company, while 15% did not. The panel was unanimous in the view that while motivating staff was essential, effective communication of motivational schemes was key to realising their true value. The panel also agreed that prevailing economic pressures affecting the industry made it unsurprising that the majority (74%) of event planners are not actively seeking new jobs. Meanhile, asked to score their motivation levels on a scale of one to ten, 21% of event planners scored under five, 79% between five and ten, 13% scored the maximum ten, while 50% scored their motivation seven or eight. There is still clearly much room for improving event planners’ motivation levels – 87% of respondents said that their company could make further changes to improve motivation, while only 23% said that their companies monitored motivation.